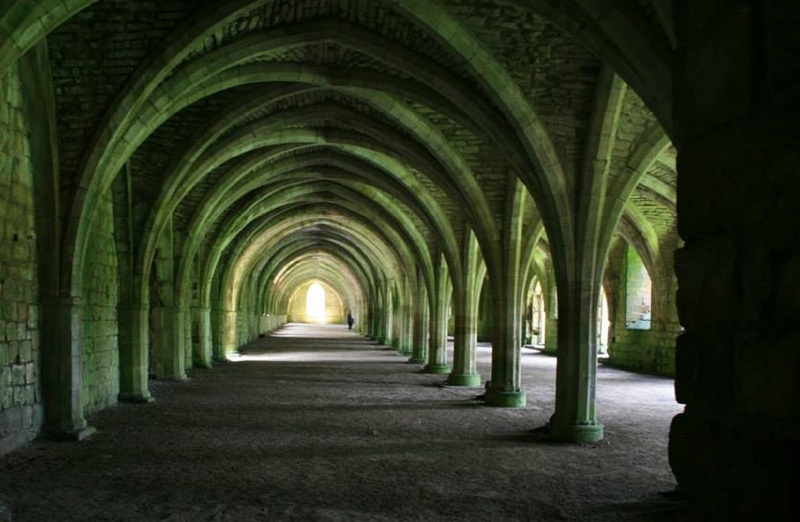 This was taken at Fountains Abbey in Yorkshire. We visited the poppy memorial in London late last summer and it was truly awe inspiring even though it was only about half complete. 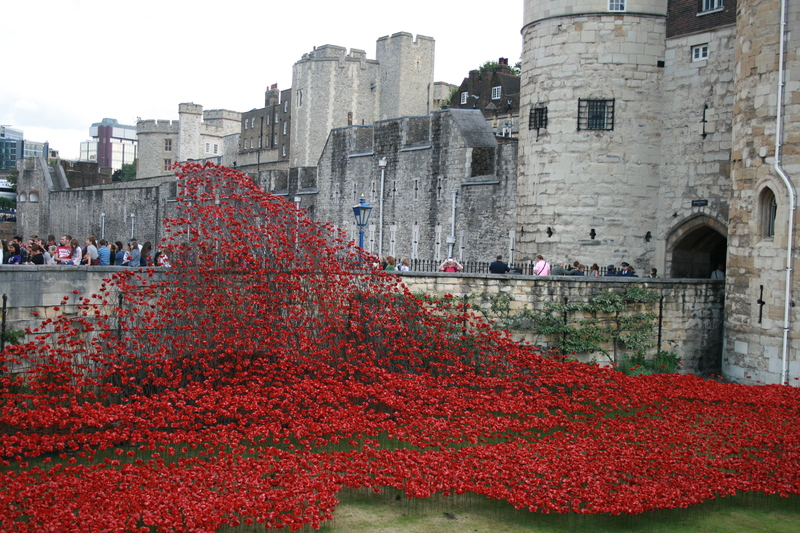 Now it’s is breathtaking and really does focus the mind on the sacrifice these young men made. 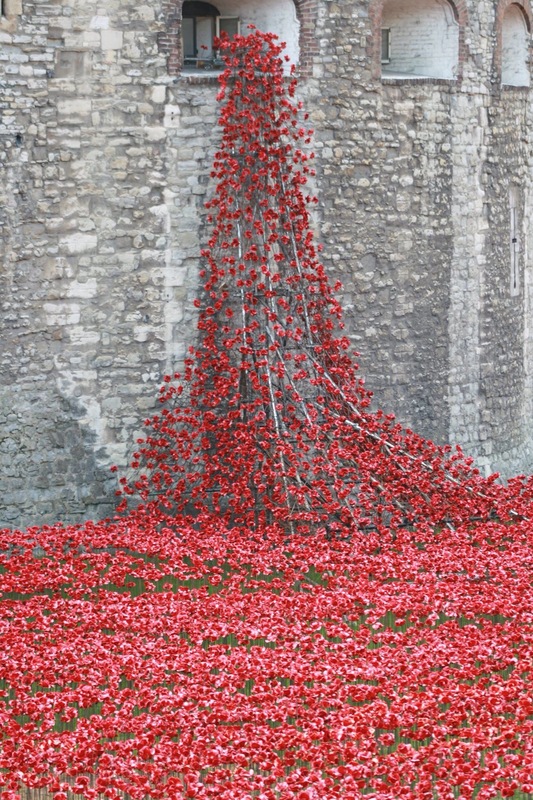 Each poppy signifies a life lost. My Uncle Frank fought in France in WW1 and thankfully survived. When I was old enough to understand he told me of his war and how four men had held his leg together after being hit by a shell and saved his life. He showed me his pay book which had been in his pocket. It was stuck together, soaked through with his blood and you couldn’t open it. I don’t know who those other soldiers were but I hope they made it, they let me meet one of the kindest gentlemen it has been my privilege to know. 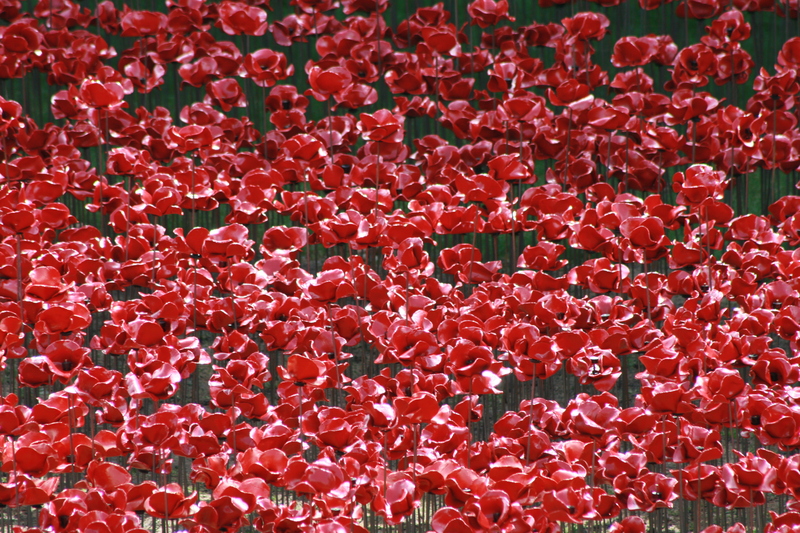 I have bought one of these poppies to remember them and thousands like them. In Britain on the 5th of November we celebrate Bonfire Night. I’m not sure if we’re celebrating the death of Guy Fawkes or celebrating the bravado of a group trying to blow up the Houses of Parliament in 1605. Guy Fawkes was discovered beneath Parliament surrounded by barrels and barrels of gunpowder and was arrested before he had chance to detonate them and start a Catholic uprising. So every year we build bonfires, fire off fireworks and burn effigies of Mr Fawkes its like the Fourth of July but cold, often wet and nowadays controlled by the Health and Safety bully boys. Bonfires are surrounded by no entry tape, fireworks are controlled and I think you need a degree in pyrotechnics to handle a sparkler these days. But back in the day we built bonfires in the middle of every street and park. Gangs of ragamuffins stole wood from each others carefully collected piles and outside every shop was a guy, made from an old pair of trousers and a shirt stuffed with newspapers and leaves with a badly painted mask on surrounded by young kids collecting a penny for the guy off every passing grown up. These pennies bought you some bangers, an air bomb or a packet of sparklers. Come the night and every family in the street would wrap up in scarves,hats and gloves and gather round while one brave dad threw paraffin onto the huge pile of wood, furniture, branches and paper followed by a lit newspaper and a hasty retreat. Some mums would have made a pan full of mushy peas and some pies would be warming in an oven. Others would provide bonfire toffee, sticky parkin, baked potatoes and toffee apples. Dads would be letting off small fireworks on wall tops and rockets from milk bottles and every kid would have a sparkler to write their name in the air with. The night wouldn’t be complete without a visit from the fire brigade checking the fire was under control and the phone lines hadn’t melted. Now its all controlled, probably a lot safer but that little bit of magic like a lot of life’s little pleasures seems to have been sanitised and locked away. Even the image of Guy Fawkes has been hijacked by an anarchist movement , but I guess that part I can relate to. I was born the year after the Berlin Wall was started, so growing up it quite often appeared in the news as the Cold War rumbled on. I remember as a child hearing of escapes over, under and through the wall and the whole concept of a city cut in half struck some nerve or chord. Seeing those people climbing onto it and smashing it with sledgehammers, picks and bare hands in 1989 is one of those moments that will stay with everyone who witnessed it. So to see the wall up close, to see how high and how long it was, has always been something I wanted to do. 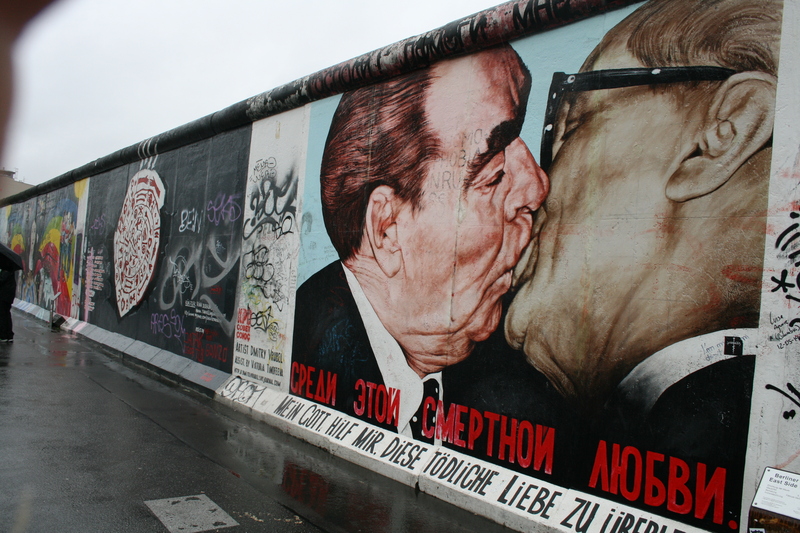 This summer we visited Berlin and I saw what was left of the wall. 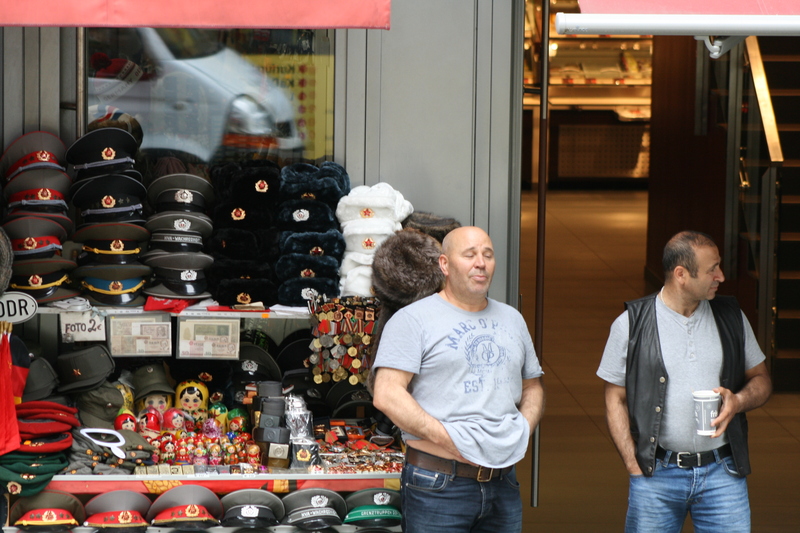 As all visitors do I took photo’s, and outside the Topography of Terror museum I took this picture. It wasn’t staged I just got lucky with the businessman walking past the hole. 50 years ago that was what it must have been like. Life carrying on, separated by an ideology and a 87 mile long and 12 foot high wall. At the start of 1953 the eyes of the world were focussed on the pending coronation of Queen Elizabeth in London. However in Nepal the focus was on the tapioca harvest and the rise of rice as the upcoming choice for milk based puddings. Tapioca was in steady decline and even the great British public schools which for years had underpinned the tapioca industry with an insatiable demand for the grain for its school dinners were now looking at rice, the new kid on the block. Nepal had placed tariffs on the import of pudding rice during the summer of 1952 but it was unable to stop the flood into the country and so in January 1953 Nepal introduced a countrywide ban. Meanwhile the British were planning a new assault on the summit of Everest after an expedition the year before had come within 778 feet of the top. Edmund Hilary had been selected as a key member of the team but was on the point of withdrawing from the expedition when he heard of the rice pudding ban. Growing up in New Zealand he had been introduced to the creamy concoction at an early age and before the ban had approached Ambrosia, a major pudding purveyor, as a potential sponsor of the expedition. With funding on the verge of being withdrawn and a potential grain war developing with the Syrian sago producers who had thrown their hat in with the Nepalese, the climbers came up with a plan to secure funding and ensure their favourite pudding fuelled their assault. Labels from rice pudding tins were steamed off and tapioca pudding labels applied. The labels were then ironed flat and padded up to look like notebooks so they could be re-applied to the tins on achieving the summit. Five rice puddings were disguised in this cunning way and then mixed in with a complete carton of tapioca. The whole plan now hinged on none of the Nepalese guards opening one of these cans. Hilary just had one problem now which was causing him some sleepless nights, he didn’t want to mislead his climbing partner and proud Nepalese friend Tenzing. He decided to come clean and tell him and hope he didn’t report them to the authorities. The tin can ruse worked perfectly and the prized cargo crossed the border and arrived safely at base camp in early May 1953. Hilary though was wracked with guilt and the night before they left to begin their attempt took Tenzing aside and confessed that the whole expedition was funded by rice pudding money and was taking an elicit 5 can cargo to the top. In his autobiography Hilary shared the moment. On the night before the final push, Hilary and Tenzing removed the tapioca labels and carefully taking apart their notebooks extracted the precious 5 rice pudding labels. In acknowledgement to the semolina farmers of Colombia who had donated generously to the expedition they reapplied the correct labels with a semolina based glue and prepared for their date with destiny. 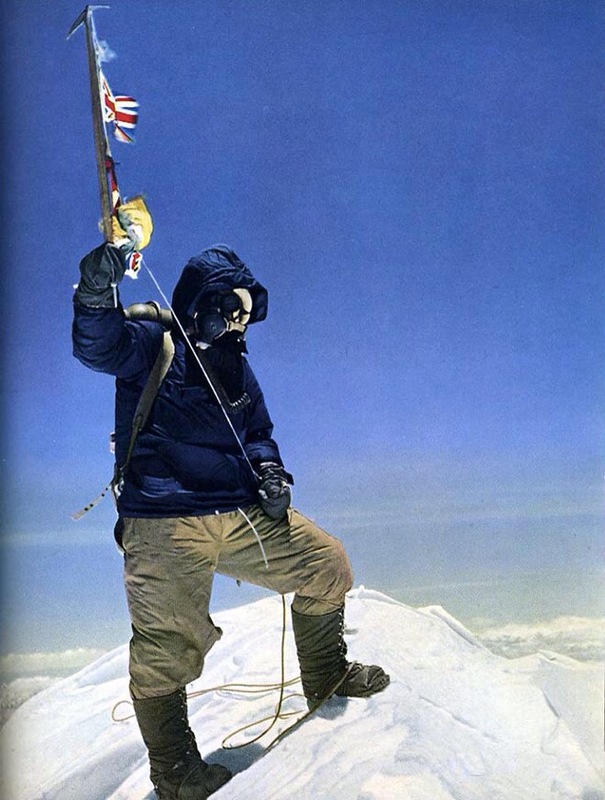 On the 29th May 1953 Edmund Hilary and Tenzing Norgay stood on the top of the world took a few pictures, embraced and then sat down to eat Ambrosia Creamed Rice cold straight from the tin. It was not only the greatest mountaineering expedition but the introduction to the world of a new delicacy without which most of the British student population would have succumbed to malnutrition. Nepal could fight it no longer and the tapioca industry quickly collapsed. Rice pudding swept the world and master chefs took it to new heights with the introduction of decadent additions such as strawberry jam and nutmeg. School dinners were transformed and within 3 years of the Everest assault British schoolchildren had grown on average by three inches.